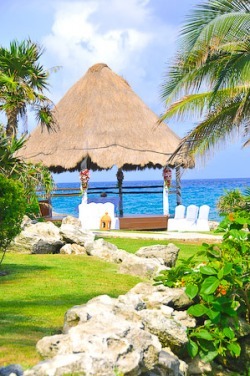 Because the beach at this resort is quite small (it's a man made lagoon) we will be getting married in this adorable tikki gazebo. I'm hoping to have pink chair sashes and pink and purple chiffon blowing in the breeze on the tikki hut. This new path means I can wear heels as I won't be in the sand, which means a new shopping opportunity. 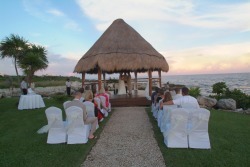 The ceremony will take place at about 4:30 in the sunshine so afterwards we can have pictures in the sun and sunset. There will be champagne following the ceremony.